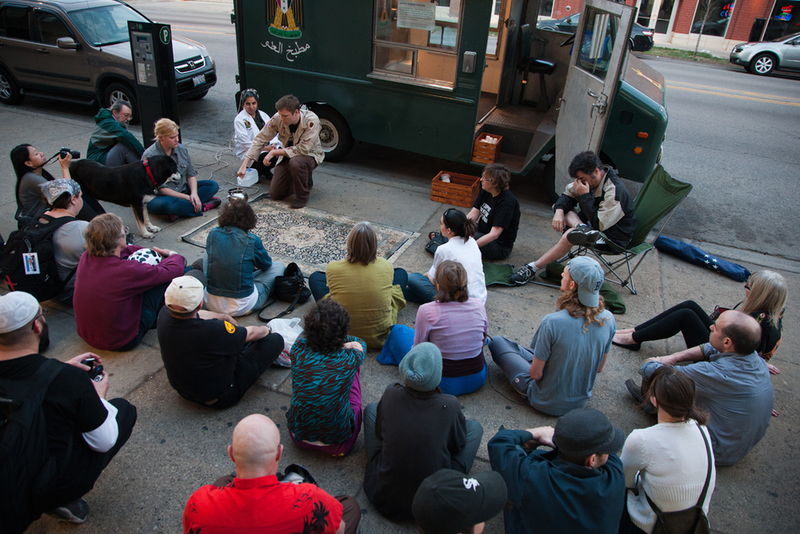 March 19, 2012 - Tea Performance in conjunction with Enemy Kitchen by Michael Rakowitz in Chicago, IL. Tea Project is an ongoing dialogue that traverses a variety of landscapes. From the tea sipped at a family gathering, to a cage in Guantanamo Bay, to a motor pool in Iraq, tea is not only a favored drink but a shared moment that transcends cultural divides and systems of oppression. When someone sits, sips, and reflects over a cup of tea there is space to ask questions about one’s relationship to the world: a world that is filled with dehumanization, war, and destruction; a world that is filled with moments of beauty, love, and humanity.